Christmas morning to children is such a magical time. The waking up early, the presents under the tree, the stockings full of treats, and the note from Santa next to the empty plate of cookies. I have to admit, I love to help that magic show through into the gifts. Gifts from Santa, at our home, have a special shine. They have a tag with our name’s written in magical glitter. The secret is, they are very fast and easy and anyone could do them in less than 5 minutes. Note: These tags look VERY magical in person. It was extremely hard, in other words impossible, to catch their true glittery essence in a picture. 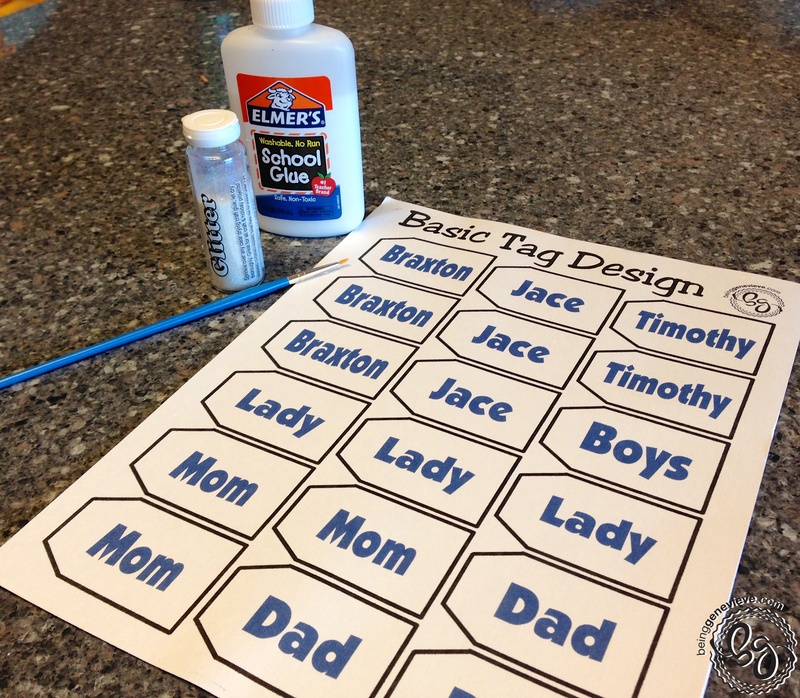 Print your tags with the names of your family members. 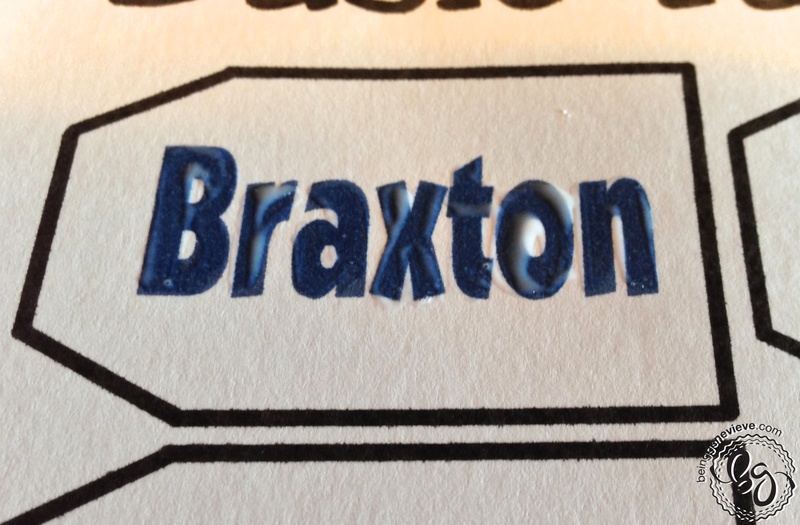 I love to usually do a fancy cursive font, but Braxton has just started being able to read everyone’s names and I don’t want to make it to hard to identify which ones are who’s. 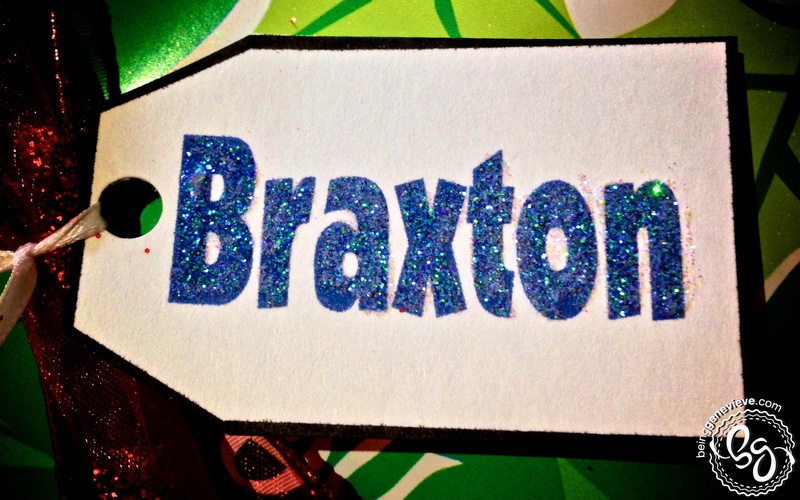 Note: You can choose any color, but I have found that a dark blue ink looks the best because the glitter has a blue shine in it. It adds to the magical look. 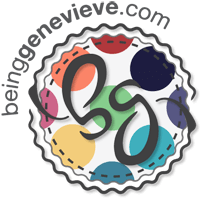 I have attached a basic tag design. Paint a layer of elmer’s glue on to the name, just go over each individual letter. 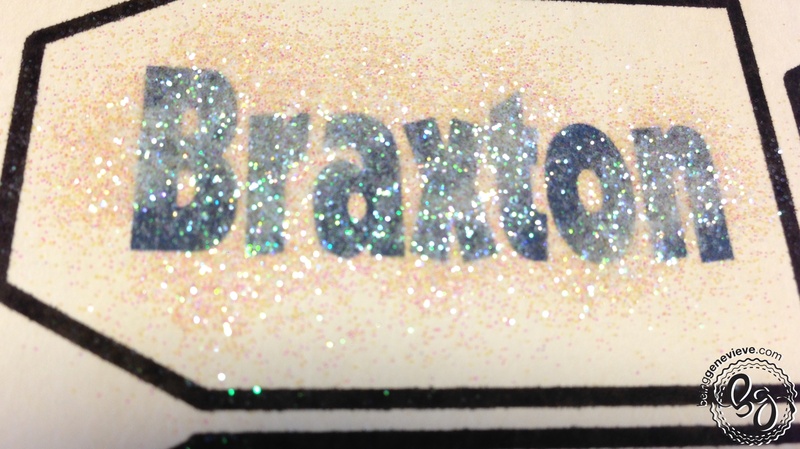 Now sprinkle your glitter over the top of the glue. Pour the excess back into the glitter container. 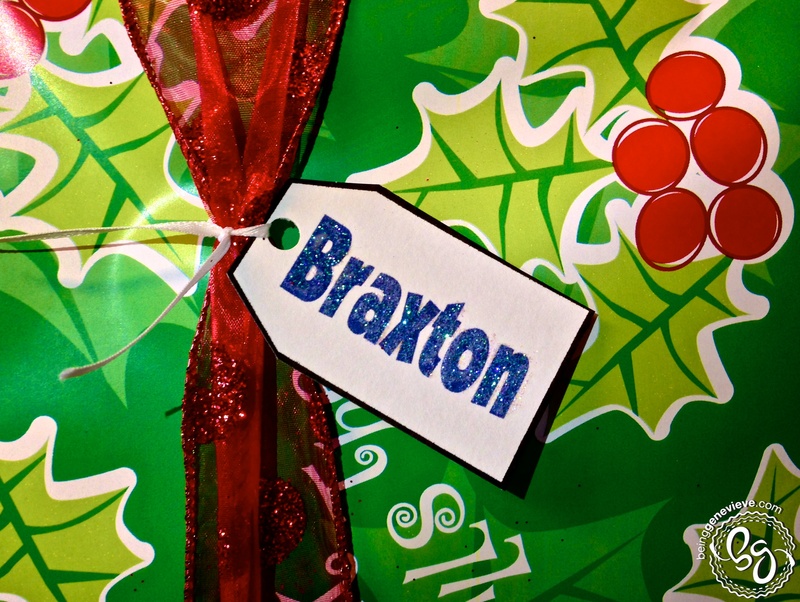 Cut out the tags and tie or tape onto your gifts. Note: These tags look VERY magical in person. It was extremely hard, in other words impossible, to catch their true glittery essence in a picture.